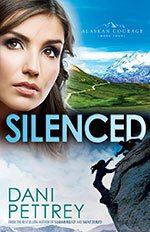 Silenced is the fourth book in Dani Pettrey’s acclaimed Alaskan Courage series. While any of the books in the series can stand alone, I encourage you to read them in order. In doing so, you will come to know and love the McKenna family and understand their stories. I am such a fan of this fantastic series and love coming back to Yancey, Alaska, and catching up with the McKenna family! Dani Pettrey always grabs my attention from the very beginning of the story, and that is exactly what she did in Silenced! The suspense quickly mounted and I was anxious to find out more with each turn of the page. I loved the wonderful romance in this story, from the progression of Kayden and Jake’s relationship to the happily-ever-afters for two McKenna siblings. Now I can’t for Reef’s story in the last book of the series, Sabotaged, which releases next spring. 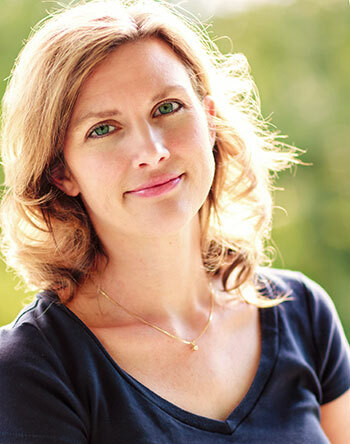 Dani Pettrey is a master at writing characters you care about and suspense that keeps you guessing! Silenced is another exciting Alaskan adventure you don’t want to miss! Dani Pettrey and Bethany House Publishers have generously offered a copy of Silenced to be given away to one lucky reader! To enter, please leave a comment, along with your email address. This giveaway ends Friday, May 30 at midnight CST. The winner will be drawn and announced on Saturday, May 31. Good luck!! US residents, 18 and older, are eligible to enter. I received a complimentary copy of this book from the publisher in exchange for an honest review, which I have given. Silenced sounds like a book I certainly do not want to miss. Thank you for the opportunity to be a winner and thank you for a wonderful review. Silenced is certainly an adventure you don’t want to miss, Melanie! Good luck!! You are very welcome, Sarah! Good luck!! This sounds like a good book. I would love to win a copy of “Silenced”. Thanks for the chance. I also earned extra chance, by following you and by posting this contest on Facebook. Thank you so much for following my blog and for sharing this contest! Good luck! It is my pleasure, Amanda! Hi Dani, thanks for the opportunity to enter your giveaway for “Silenced”….I loved your interview and the review of the book and would love to be among your winners. I already LIKE you on FB, and FOLLOW you on Twitter, Pinterest. I receive your blog thru e-mail. And I have shared your giveaway on FB and Twitter. Thanks and God’s blessings to you and your family. Thank you so much for sharing this contest, Ruth! Best of luck to you! Enjoyed another in the series and look forward to reading Silenced. Thanks for the opportunity. Love reading this series! Thank you for the chance to win a copy of Silenced. You are welcome, Karen! Good luck to you! I’m a follower and I tweeted. Thank you so much for following my blog and sharing this contest! I have read the first three so I would love to get my hands on this one. Thanks for the chance! You are welcome, Melissa! Good luck to you!! I forgot to add that I am a follower and you do a great job! Keep up the good work!!! Thank you, Britney. Thank you for your kind words and for being a faithful follower, Melanie! I have the first book inthe series but haven’t started it yet, seems like I should get the whole series, right? Thanks for the giveaway. And I just started following your blog. It is a great series! Thank you so much for following my blog! Best of luck to you!! This book sounds like a “nail-biter”. Thank you for the chance to win a copy. I am a follower or your blog. You are very welcome, Susan! Good luck!! Great review ! Silenced looks like a great read. Thanks, Jackie! Best of luck to you!! I understand about the TBR, Patty! My TBR stack is overflowing with great books just waiting to be read! 🙂 Good luck to you!! I just signed up to follow the blog! Thank you so much for signing up to follow my blog!! Another sunshiney dose of awesome from you! Thanks for your wonderful post and your continued support. You’re such a blessing, to us and to Dani. Thank you so much for stopping by and for your kind words, Kelli! It is a pleasure to share Dani’s books!! Silenced sounds gripping and exciting. Thanks for the chance to win it! I’m a follower via e-mail. Thank you so much for following my blog, Merry! Good luck to you!! You are very welcome, Sonja! Good luck!! Will do, Anna! Thanks for stopping by! Good luck!! Thank you so much for all your amazing support. LOVED your post. You’re awesome! Thanks for the opportunity to win one of your books. I am following your blog. Sounds like another great book. Thank you for the opportunity to win a copy. Signing up to follow your blog.